Oriel Stream flows through Bedfordview on the west side of the N3 Highway and feeds into the lake at Gillooly’s Farm. It is the water source entering the lake as the Jukskei River has been diverted around the lake. 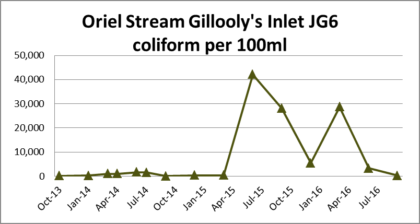 Oriel Stream has repeated problems with sewage spills. The higher reaches above Kloof Road there are permanent spills, but not great enough to have a visible impact on Gillooly’s Lake. Early in 2016 there were complaints about sewage in the lake and dying fish. Bedfordview Edenvale News published an article on 8 February where an inspector from Ekurhuleni explained it was a natural occurrence. 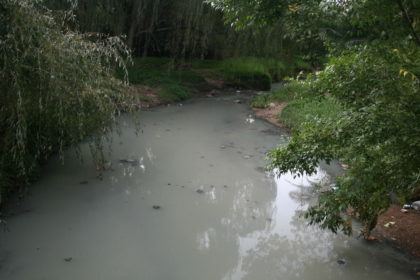 Late in March Edenvale RiverWatch took up the problem and found a massive spill of sewage entering the Oriel Stream from a business park at Gillooly’s View. 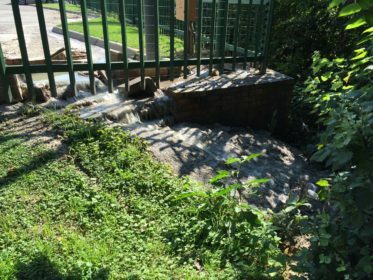 From reports by local residents and the appearance at the scene this sewage had been running a long time, probably since the first complaints in December 2015. 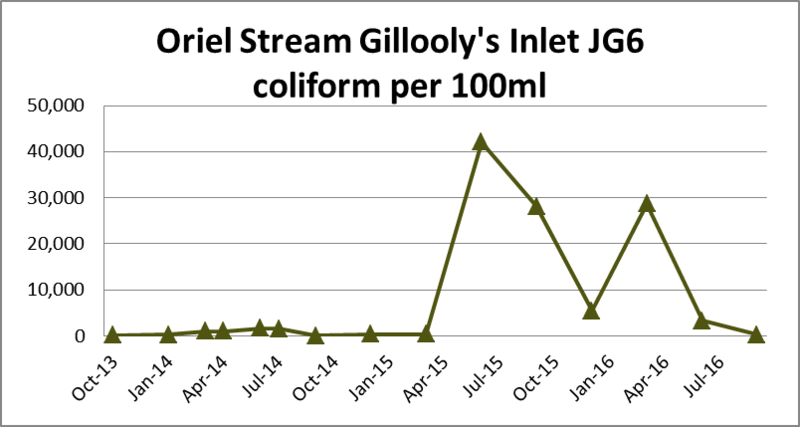 Ekurhuleni water quality tests of Oriel Stream at the inlet to Gillooly’s Lake show a steady increase in sewage contamination from July 2015 but easing a year later. This test is not the same as the E coli test done by City of Johannesburg, but effectively measures the same thing – sewage contamination.